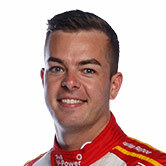 Supercars championship leader Scott McLaughlin has been handed a penalty early in the final race of the season, as he looks to beat Jamie Whincup to the title. 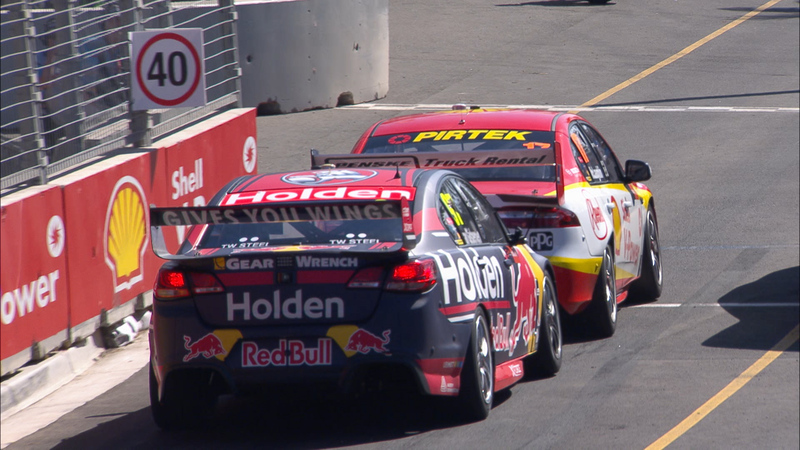 The Shell V-Power Racing driver started from pole position in Newcastle and led the way until pitting on lap 15 with the Red Bull Holden Racing Team’s Shane van Gisbergen. After the pair had completed their stops, McLaughlin was served a drive-through penalty for speeding on pit entry. It dropped McLaughlin outside the top 20, with more than 70 laps remaining at the Coates Hire Newcastle 500. Curiously, the penalty followed an identical one for team-mate Fabian Coulthard - currently in the garage with a driveline vibration - during his first pitstop. Erebus Motorsport driver Dale Wood was also penalised in the opening round of stops for exceeding the 40km/h limit on pit entry. “It’s a judge of fact thing, it’s a good thing I’m not the judge of fact, because it didn’t look that way to us,” Shell V-Power Racing managing director Ryan Story said. “And certainly on the data it didn’t look that way, that we were going fast. McLaughlin can wrap up the title by finishing 11th or higher, irrespective of Whincup’s result.